IMG_9257, originally uploaded by EC_Mike. This past weekend marked St. Paul's Irish Fair at Harriet Island. Headlining the event was the best modern but traditional sounding bands to ever display their take on Irish music. For an amateur to get a photo like this is impressive but even more impressive is getting this photo from the crowd and capturing the blue and green stage lights in the stunning post-sunset light of Minnesota. 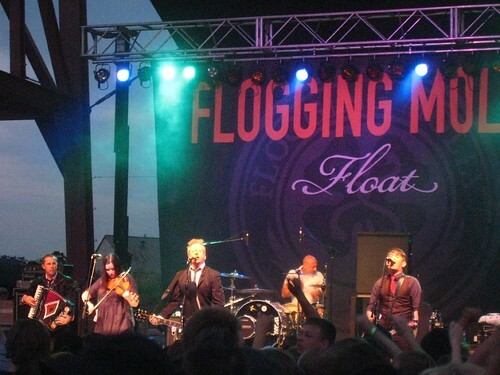 I attended this Flogging Molly concert at the Irish Fair last weekend. Has anyone heard of the attendance at the FM concerts?